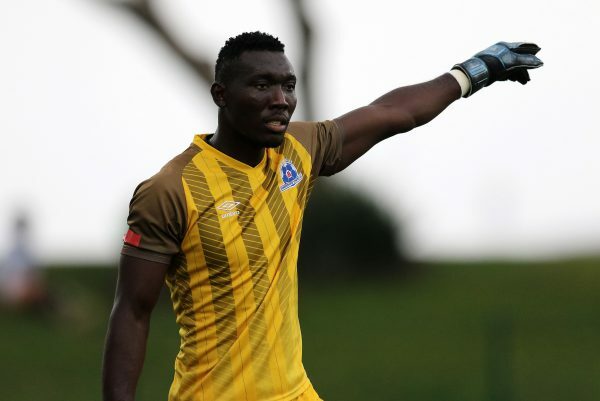 Maritzburg United goalkeeper Richard Ofori is said to be on Orlando Pirates’ radar for next season. According to GhanaSoccernet.com, Ofori has attracted interest from Pirates as Maritzburg continue to fight relegation. “Teams that are interested in Ofori need to forget about signing him because he is joining Pirates next season, I talk to him (Ofori) all the time, he will be at Pirates next season,” an unnamed Premier Soccer League club official told Isolezwe. Ofori’s agent, Hussen Chamseddine, told Isolezwe that he was aware of the reports linking Ofori to Pirates but added that no club has approached him regarding the player’s availability. Chamseddine added that he would talk to the Team of Choice chairman Farook Kadodia if any club approached them for Ofori’s services.